You are here: Home / Debt Consolidation – Is It Right For You? Debt consolidation may be something you are interested in as you struggle to make the minimum payments on your credit card debts. We will help you learn about debt consolidation programs that can help you reduce your unsecured debts. Debt consolidation can help you get a handle on your finances, free up some of your paycheck so you have room to breathe, and help reduce your stress levels. We know being deep in debt causes stress and anxiety and want to help you with the best debt relief solutions. How Much Can I Save With Credit Card Debt Consolidation? Any debt relief plan should offer significant savings before you even think about starting one. Credit card debt consolidation can help you reduce your unsecured debts by thousands. For example: you could reduce $25,000 in Visa and MasterCard debt to $0 in 24 to 48 months and save thousands. You could have thousands in credit card debt after a divorce and we can help you get out of debt. We do not believe moving credit card debt around is the best form of debt consolidation. You need a good credit score to get approved for a loan to consolidate your bills. 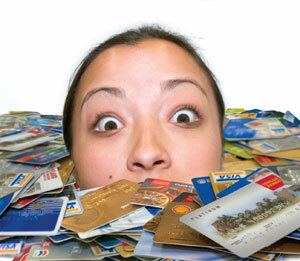 If you have missed a credit card payment or two then your credit score will not be high enough to get approved. Plus, the temptation to rack up new credit card debt is too high once you have moved all your unsecured bills into a debt consolidation loan. I Have Bad Credit – Will A Debt Consolidation Company Help Me? The good news about the debt consolidation plans we are offering is that there is no credit check. You can have good, average, or poor credit. It does not matter. 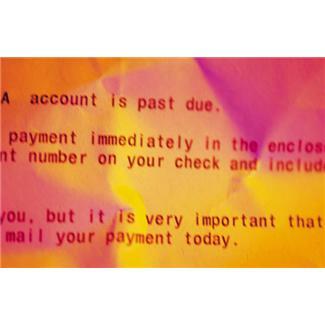 You can get the benefits of bill consolidation without a loan. In fact, we believe it is better that you do not attempt to take out a home equity loan or second mortgage or even raid your 401K with an early withdrawal for debt consolidation purposes. Consolidating your credit cards, medical bills, payday loans, cash advance loans, and other personal loans allows you to keep more of your paycheck in your bank account each month. You can pick a payment plan that fits into your budget. There is no signup fee for the debt consolidation companies we recommend. You can avoid bankruptcy which can ruin your credit for up to 10 years. You can reduce your unsecured debt at one of the lowest costs possible. Does Credit Card Debt Consolidation Ruin My Credit? Before you get the answer to this question, you have to ask yourself if you would rather be debt free or have a good credit score. We have all been conditioned that our credit scores are sacred and that you should do everything in your power to avoid doing anything to harm them. Normally this is true. BUT when you are just barely getting by or are stuck paying a penalty APR of 29.99% on your Visa and MasterCards, it is almost impossible to get out of debt. The bill consolidation program you will be using with our recommended debt consolidation companies will involve settling your credit card accounts for less than full balance. This will have a negative effect on your credit score on a temporary basis. BUT if you want to reduce your credit card balances by 50% see how debt consolidation can help you get out of debt and quickly rebuild your FICO scores. Debt Negotiation Or Debt Consolidation? Our recommended debt consolidation companies will work on your credit card, hospital and medical bills. This is called debt negotiation. They will negotiate aggressively with all of your creditors and debt collection agencies and get you the best settlement possible. You can slash your balances by thousands in as little as 2 years. We refer to debt negotiation as debt consolidation because you are consolidating your bills into one low monthly payment that you get to pick. You tell us what you can afford each month and we set you up with the top debt consolidation plan we recommend. Debt Settlement Or Debt Consolidation? Debt negotiation and debt settlement are often used interchangeably. The actual process is called negotiation, when the debt consolidation company reaches an agreement with your credit card banks this is called settlement. Settlement is the same as consolidating your debts just without the loan. For the majority of consumers bankruptcy is not the best choice for credit card relief. Debt consolidation is a better alternative to bankruptcy for many reasons. Bankruptcy can cost you employment opportunities along with higher auto and home loan rates IF you can even get approved. Even your home and auto insurance will be more expensive after bankruptcy. Couple that with the fact that you will still have to repay most of your debt for up to 5 years with Chapter 13. For these reasons debt consolidation makes a lot more financial sense. Will Credit Debt Consolidation Work With My Credit Card Company – Bank of America, Citibank, Chase, Capital One, Discover Card, American Express? Yes, debt consolidation will work with most of the major credit card companies. Not all creditors will agree to a settlement offer. This goes for all companies in the industry. The major credit card banks like Bank of America, Chase, Citibank and Discover Card do settle credit card accounts for less than full balance all the time. They would rather get you on a reduced interest financial hardship plan and say they do not settle but they do. Why Would A Credit Card Company Work With A Debt Consolidation Company? Credit card companies are for profit companies and they do not like losing money. Debt consolidation through settlement allows the major credit card issuers to minimize their losses. They would rather take a fraction of the debt owed now than drag the account out in bankruptcy court for years on a repayment plan. It is better for them to have some money now than a trickle over the next 5 years with Chapter 13 bankruptcy. This is why the credit card issuers will work with debt consolidation companies and avoid bankruptcy. How Long Does This Debt Consolidation Plan Take? Using our debt consolidation programs, you can legally reduce your unsecured debts by thousands in as little as 24 months to 48 months. It all depends on your ability to save funds for settlement offers with your creditors. The faster you can save the faster you can eliminate your credit card and medical debts. How Much Does A Debt Consolidation Company Charge? There is no such thing as a non profit debt consolidation company right? No, there is not and you should avoid companies that make big claims or promises that seem too good to be true. You can compare our debt consolidation plan cost to one of the leading attorney debt settlement plans and see we are a better deal. They want to charge you 25% of your debt plus a $50 monthly fee. The debt consolidation companies we recommend only get paid when they successfully settle your debts. Their fees are comparable to all the top performance based debt relief firms. They even offer a money back guarantee. Is A Debt Consolidation Plan Right For Me? You can give us a call or fill out our form for a free debt consolidation quote. There is no obligation. If you don’t like what you hear no problem. We will thank you for giving us the opportunity to help you get credit card debt relief.